Wildflower was much harder, but more gratifying, this time around. The ambiance, festival, and company was great! The race went well, and despite tough winds on the bike course, I finished much stronger than I did last year. I took 3 minutes off my bike time and most of my other times remained steady. 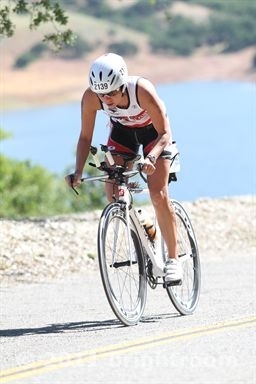 If you have read my previous post on Wildflower Triathlon (blog post in 2010) I feel like Wildflower is a course that makes you want to come back, race harder, and be smarter. After some recovery time I went back into training full speed. 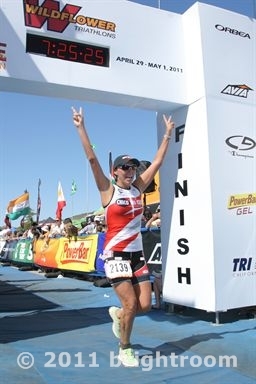 I was so motivated by my experience at Wildflower that I was hungry to race again, good thing but not so good thing. This mentality coupled with a body that still needed slow acclamation into the rigors of training lead to some foot and ankle issues that needed attentive care and rest. How about that for putting my self “in the red”? I love how he starts the book with the principle “TAKE 100% Responsibility For Your Life.” Hard cold reality for people that like to blame circumstances, people, their coach, genetics, our parents, the weather, the wind, the rain, places, time, the man, taxes, etc. etc. etc. for their current standing in life and sport. I can admit at one time or another when I find myself discouraged I can tend to creep over to this side, BUT I don’t take up residence here! This chapter illustrates bluntly that we if we want to create a life of your/my dreams, then we have to give up all excuses, all victim stories, blaming, all the reasons why you/I can’t and why we/I haven’t until now, and all blaming. You have to give them up forever. Ouch but right on! What would some people do without their “woe is me story”? Humm don’t know but what I do know is that “you have to take the position that you have always had the power to make it different, to get it right, and produce the desired result….for whatever reason- ignorance, lack of awareness, fear, need to be right, need to feel safe- you choose not to exercise that power. Who knows why? It does not matter. The past is the past or I like to say, “yesterday died last night.” All that matters is from this point onward you CHOOSE-yep it IS actually YOUR CHOICE- to act as if you are 100% responsible for everything (injury and all) that does or doesn’t happen to you. 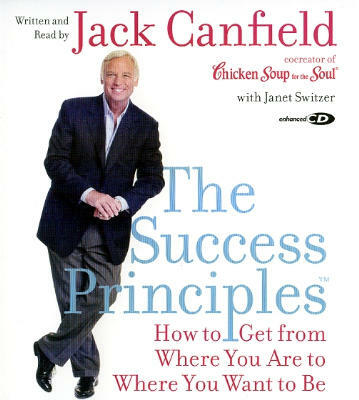 I like how Jack Canfield illustrates this with a simplistic yet good formula. Response, could be emotional, behavior, nonaction, acceptance, etc. e.g., the thought “I can’t do this. I’m not fast enough, “ walking, overtraining, getting a coach, following a plan. Outcome, manifested thing, circumstance, situation, race result, e.g. improved running performance, choaking, resting, not training, fear of group training, wining age group. *If you don’t like your outcomes you have to change your responses. I know this sounds simplistic but it could be used over and over again to examine, in depth, how some of our CHOSEN RESPONSES to the things in our life create a habitual or behavioral pattern that keep us habitually in the same circumstances. Whether it be a training plateau, continued injury, thinking “oh I could never do a triathlon, or olympic distance, or a ironman”, stagnate run time, fear and anxiety to ride a bike, fear of failure, etc. I could go on forever but the main gist is if you want different results then you have to be willing to doing something different. You can’t expect to do the same thing wanting different results. The good thing is we have many guides and supports to show us many how we could choose to do something different BUT you must be willing to accept Principle 1 – 100% Responsibility for Your Life. “Ninety-nice percent of all failure come from people who have a habit of making excuses” –George Washington Carver. Happy Training and Racing. Keep reaching for your peak.